Keeps ten girls in school. Education is the most effective means of improving the lives of girls in the world's poorest communities. However, these girls often drop out of school when they reach puberty because they have no access to feminine hygiene products. This is a worrisome trend that leads to early marriage, childbearing at an early age, and a lack of financial independence. 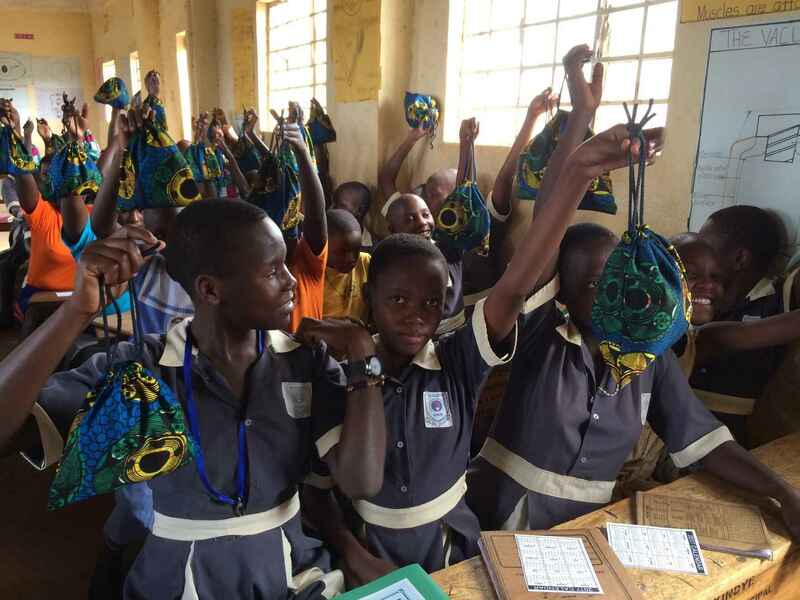 The MoonCatcher Project was established to provide free reusable, washable menstrual pads that can be worn without underwear for girls in the poorest communities worldwide. These pads provide a way for girls to stay in school while menstruating, giving them a greater chance of completing their education. At its core our project is about girls' empowerment. Wherever possible we offer menstrual management and reproductive health classes and we help set up and support community sewing guilds that provide employment for local women. It takes just $5.07 to make a MoonCatcher kit and to change the life of a girl. A wonderful program. You go, Girls! This project will the change of lives of girls in a way that is pure genius. thank-you for providing us with something positive and joyful we can actually take action on these days! This is for the kits for In a Perfect World - thank you so much!